I have always been a pretty expansive being. The blog post of short video interview with Soulove Magnetic (Cosmology Bey) in Bryant Park · Manhattan, NYC spake on this reality. Limits and I don´t see eye to eye or heart to heart. Well, we can thank the stars for aligning at such a time when I entered the Earth realm. My primary elements are water and air. Neither should be contained for extended periods of time or it loses its effervescence. In 2013, I expanded my creative abilities into jewelry making. It is named, ´Translucent Earth´ necklace. It represents the clear and semi·opaque offerings of Mother Earth. The necklace reiterates the fact that you don´t have to be heavy to be solid. 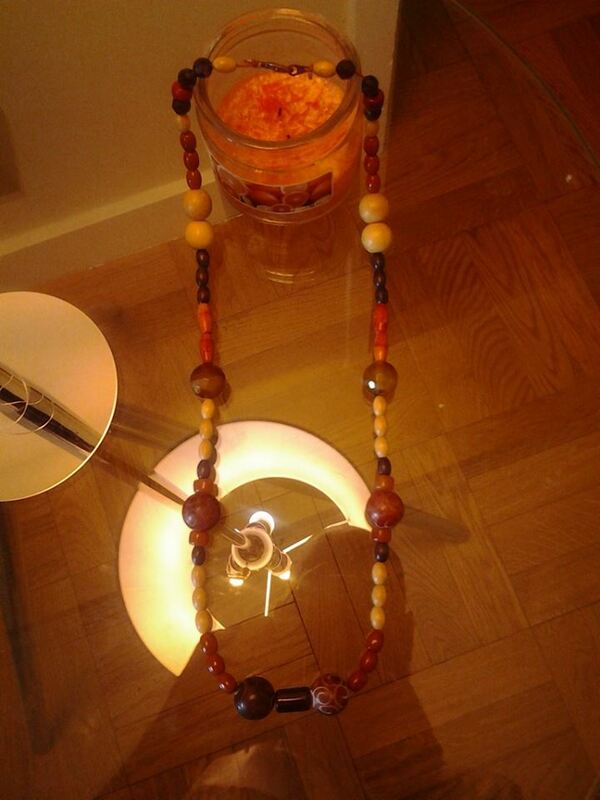 ´Translucent Earth´ Necklace is available for purchase. The price is $40 USD (price is negotiable, shipping/handling is not included in price). Payments are accepted through PayPal. If interested, please contact Etaniel Ben Yehuda at etanielbencyehuda@gmail.com. My gifts are always in search of wonderful and interesting owners/homes/offices to dwell. Don´t forget copies of The Chronicles of Air, Water and the Source are available for purchase through PayPal. $17 for softcover / $27 for hardcover (price includes book with autograph and shipping & handling fee). Upon receipt of payment, item(s) will be shipped within 1 bus. day. Journeys are get times to reflect, gather and plan your next station, whether it be spatially or mentally. Before my flight to Dominican Republic on last Friday, I had not been on a plane in two year! Time flies (pun, may or may not be intended…depends on your sense of humour)!! The week leading up to the departure was working in extremes. There were various powerful and creative experiences. On the other hand, there were many challenges. The positives: I had a moment to spend physical time with members of my spiritual and creative families. I deeply processed the beauty and joy in starting my own family. Solid thoughts and plans of business had seem to arise out of nowhere/somewhere very hidden. The negatives: Every possible thing connected to technology and currency were going terribly wrong. Unable to connect with certain folks before departure wasn’t too cheery. Potentially harmful breakdowns in communication proved somewhat disturbing. Yet, I persevered. So, I am at the airport waiting to board. I sense of elation and peace had come over me. I was happy to travel and begin the next phase of life. Someone close to me said that they know my mother would be proud of me! I took a pause to process/reflect. I’m sure she is, at least, somewhat responsible for the provisions made. This is why Ancestral acknowledgement is crucial. They have more direct access to things of life than we do. Their point-of-view is way more vast than this earthly plane. As I digress, the flight was beautiful. Anyone that knows me should know that i am an impatient traveler. Ah jus wunna reach now fuh now! The flight departed on time and arrived 35 minutes early. Turbulence was bare minimum. The landing…….ears popping and going through customs. The process was pretty efficient. This is my first visit to DR. It is what I expected on a surface level…everyday people, natural landscape, semi-humble living and lots of food that I can’t eat. In my opinion, there is way too much fried food! EVERYTHING is fried! But, I am on a mission to help the people eat more sensibly and appreciate what they have. It is a nice to eat fruit that may have been picked an hour prior to purchase. During an invitation to the home of a friend of a co-worker, I had the Dominican culinary experience. Berenjera, mangu, arroz con frijoles, arroz vegetales and pitahaya! 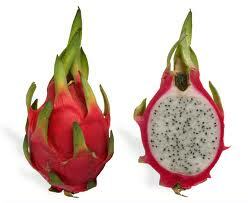 PITAHAYA will quickly rise to the top of ‘Favorite Fruit Charts’. It is beautiful to look, beautiful to peel and beautiful to eat. It is full of seeds and light to eat. After a little research, it is in the cactus fruit family, works well with human digestion and assists in the purification of blood. Nice, right! !~! Look Into My Eyes, Tell Me What You Hear !~! In late September 2013, E was out in Union Square Park promoting his literary works and meeting the people. The book covers a multitude of topics to assist the supporter down the road named ‘Life’. Copies (soft and hardcovers) are available through PayPal [Email address: etanielbencyehuda@gmail.com]. $16.50 for softcover and $26.50 for hardcover. An autograph, shipping/handling and a few promotional material are included in this price. The book is life-changing!!! Life is a continuum. From spirit realm to physical realm to spirit realm to physical realm to spirit realm…I think you get the point. This week has been a great, eye-opening and goal-solidifying week. From travel to transitions to temptations, life never fails to offer options. But, you have to be open to exploration. This exploration allows the realms of possibility to open. From that point, you decide if you desire to ascend or remain on level plane. Wisdom and intelligence are necessary agents for successful living! While resting some nights, I experience the visions and ethereal sounds of music I know. Last night was the latest of this occurrence. For any fans/listeners to 90’s Hip-Hop, you should be familiar with the group, Channel Live. The duo was discovered by Hip-Hop Legend, KRS-One. Their signature hit is “Mad-Izms”. The song paints the adventure of inhaling, processing and the output of smoking _____________. It runs down the vein of the sub-genre of Weed Hip-Hop that was popular in the mid-90’s. Why did smoking weed/blunts/jumbs/marijuana become so popular? It is believed that once the crack phase of the 80’s faded away, the government/governmental agencies/scientific company devised a plan to further “medicate” the urban populations. The marijuana available for purchase was laced with synthetic chemicals that triggered lackadaisical behaviors in the consumer. Furthermore, there was a noted decline in high achievements of youth during this time. Only a few years prior, there was an exponential increase in college/university enrollment at historically-Black colleges & universities (HBCU) during the run of sitcoms like “The Cosby Show” and “A Different World”. Persons between the ages of 40-65 years state that the effects of smoking marijuana are significantly different now than thirty years ago. One major difference is the lack of drive. These adults say teens that smoke weed have much less drive and focus, in comparison to their days of teenagehood. Is that even a word ‘teenagehood’? As I digress, it seems like the social structure is not too supportive of youth in a substantial manner. That may be a major contributor to the lack of drive in youth today. To this day, I don’t know the reason for the dream. I quit smoking many years ago. I have no desire to return to this habit. But, I can say that I had a friend pass away from lung cancer at the age of 40! Health is precious. We must do all we can to protect our minds, bodies and spirits. There are many things in modern living that is more detrimental than beneficial to our well-being. In conclusion, smoking leads to loss of brain cells, loss of years on life and loss of pure energetic flow. Be mindful of what you ingest!